There is the possibility that the Belize Barrier Reef Reserve System could be placed on the list of World Heritage Sites in Danger, according to a World Heritage Committee (WHC) draft decision released on Friday, June 10th. The document was released by the United Nations Educational and Scientific Cultural Organization (UNESCO) in the Desired State of Conservation Report after several deadlines to meet required indicators outlined by UNESCO had been missed. The decision took place regardless of the Government of Belize’s commitment to ensure their continued protection programs of Belize’s Barrier Reef System along with its other World Heritage Sites. 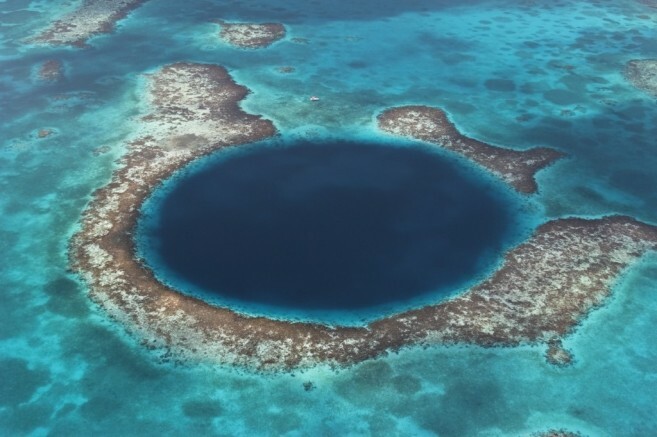 The Blue Hole Natural Monument at Lighthouse Atoll is part of the Belize Barrier Reef Reserve System World Heritage Site and a popular dive site. All web usage, social media, press release and print. Worldwide 5 years. No 3rd party usage without explicitly mentioning WWF. No merchandising use. The body of the Draft Decision states that an offshore oil ban in World Heritage Sites still needs to be translated into a legislative instrument. Meanwhile, the adequacy of the one-kilometre buffer zone needs revision to secure the protection of the property’s Outstanding Universal Value (OUV). As a result, the 21 member countries of the UNESCO World Heritage Committee will meet in Istanbul, Turkey in two weeks’ time from now in order to debate the status of some of the most extraordinary natural places on the planet. This includes the Belizean Barrier Reef System. “If adopted by the World Heritage Committee next month, this decision would send a message that more needs to be done,” said World Wild Life (WWF) Reef Scientist and Climate Change Officer in Belize, Nadia Bood. South Water Caye Marine Reserve is one of seven protected areas that make up the Belize Barrier Reef Reserve System World Heritage site. WWF campaign website, press release and social media channels only. 3 years. 3rd parties can only used in conjunction with explicitly mentioning WWF and World Heritage Campaign. No merchandising use. 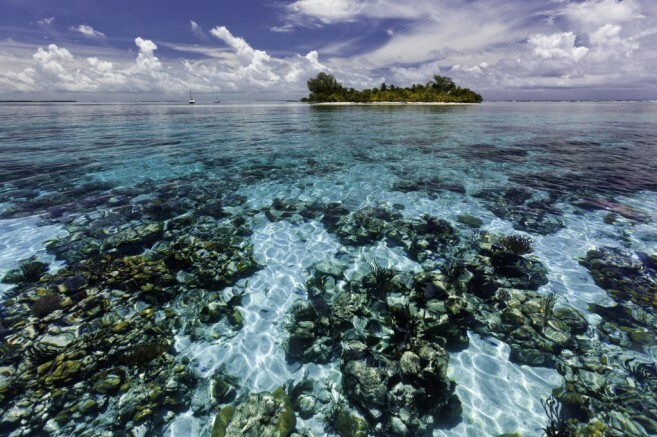 From the start of this year, the WWF has been calling on Belize for a greater protection of the Belize Barrier Reef. Some of the threats highlighted are harmful industrial activities such as oil, gas and mining operations. Large scale infrastructure projects also made it to the list as another factor that can cause tremendous damage to the reef system. According to WWF, to date over 120,000 persons from all over the world have written to the Right Honourable Dean Barrow Prime Minister of Belize, calling for better protection of the globally shared heritage and national pride Belizeans have. 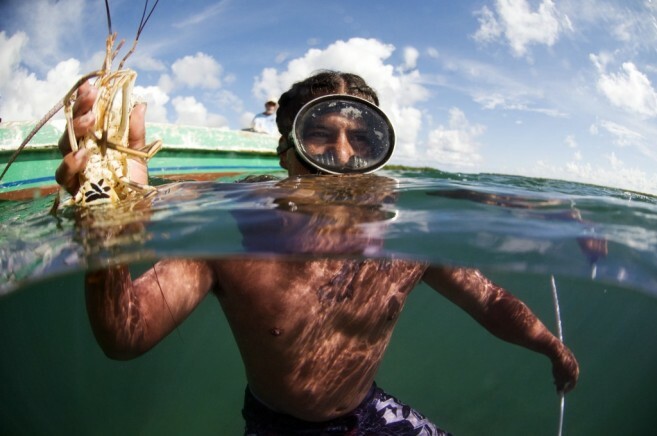 The Aldana family including Levan Aldana and his father and brother fish for conch and lobsters. The fishery is tightly regulated with catch limits and size restrictions. WWF has reiterated that only a full ban on offshore oil exploration and drilling in all of Belize’s waters can secure the protection of Belize’s reef and its OUV. A call was also made for the full activation of the moratorium on offshore oil exploration and revised Mangrove Regulations to be adopted urgently. It is believed that such enforcement will save thousands of mangroves. Since 1998, the loss of mangrove cover within the reef system is around 12,500 acres, a size equal to 6,500 football fields. The pervasive threat posed by harmful industrial activities to World Heritage Sites, particularly the Belize Barrier Reef, was highlighted in the draft decisions report. On July 11th, the world will be looking to the World Heritage Committee to take a strong stand against these entirely avoidable threats, and the governments and corporations that allow them to persist.